In an age of cybercrime, Finn is the last hardhat. He's a professional thief with a unique specialty: He only steals big things--autoracks, factory lines, machinery. You might call what he does "heavy lifting." And he's no stranger to the downside of his chosen profession; he's done seven years' hard time to prove it. Fresh out of prison and flat broke, Finn has a line on his biggest job ever. A beautiful woman with her own agenda has put him back in touch with a shady Wall Street billionaire. The job? Breaking into a private commodities vault and hauling out fifty million dollars worth of the precious metal rhodium. It's big, it's heavy, and it'll pull a lot of exposure. In other words, it's right up Finn's alley. The vault is located underground in a high-security rail yard in New Jersey. The plan? Tunnel in. But there's only one group that can get it done, and Finn will have to call in the crackerjack team that landed him in prison in the first place: Asher, a cranky oilfield driller; Corman, a bearlike railway man; and Jake, a charismatic machinery expert--joined by Nicola, a female hacker who alternates between white and black hats. Cracking the most heavily guarded private vault in North America? No problem. Hauling fifty million dollars in precious metal out past guards, dozens of policemen, and an armored SWAT battalion? Even easier. But navigating the betrayals of double-crossing partners, the machinations of a hedge-fund billionaire gone bad, and the ambiguous proposals of a woman with her own agenda? That's when things get twisty. This is the heist that will truly test Finn's mettle, and he'll need nerves of steel just to get out alive. But he's sure of one thing: This time, there's got to be an upside. Wow! I just finished THE DOWNSIDE and fell in love with Finn who is definitely an old school criminal. No computers for him. In fact, he reminds me of guys that you will meet in your local neighborhood bar after their shift except for the fact that he tends to get paid a lot more when things go right. And it's his turn for things to go right. 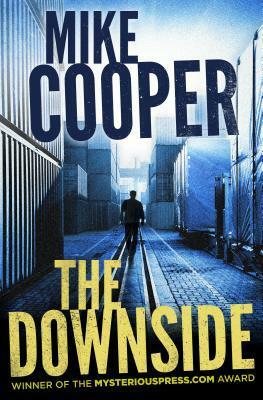 I do have to say that Mr. Cooper does a brilliant job with his characters. Some of them you will click with, others not so much. Just like the folks that you meet in real life. Along with Finn, I really liked the characters of the hacker Nicola and Corman who is a jack of a lot of trades. The reader is given the inside view to a caper that definitely involves some heavy lifting. We get to see as all the details fall into place as the big night comes closer and closer. We even get to join the gang as the heist takes place. A lot of twists and turns as the tension ratchets up. 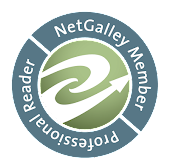 I would recommend THE DOWNSIDE to any of my readers who enjoy a good thriller or crime drama. Personally I am hoping to see some more books with Finn and his crew.